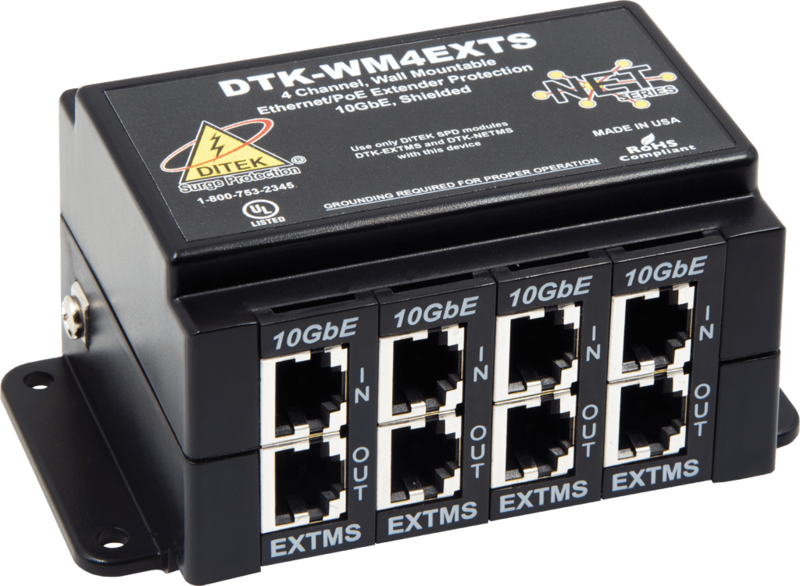 The DTK-WM4EXTS is a 4-channel, wall mount surge protector that uses state-of-the-art circuitry to provide best-in-breed surge protection for PoE extender circuits. 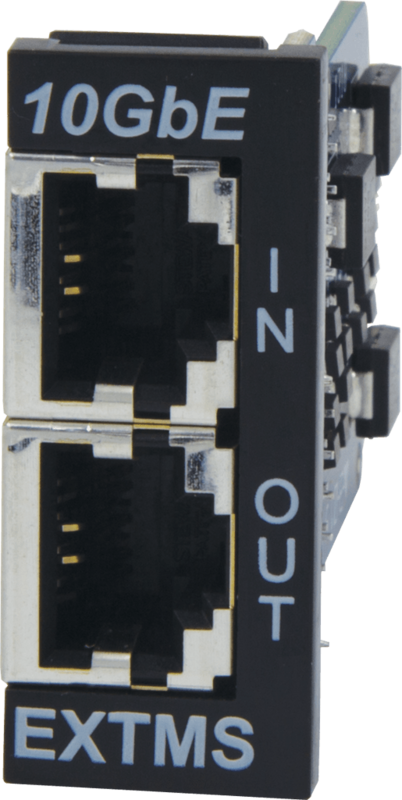 It supports data speeds up to 10GbE, and provides surge protection grounding to remote devices when used with STP cabling. 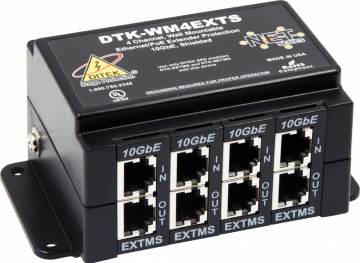 The DTK-WM4EXTS is ideal for smaller installations where Ethernet cabling feeds require protection before entering network switches.